VENDING INDUSTRY JOBS! CAREERS IN VENDING. Jobs for vending and micro markets self service industries. Vending industry jobs available posted here on Vending Connection. Also see: Vending ROUTES FOR SALE USA, Bulk Machines, Vending Classifieds, REPAIR Services, Manufacturers, Distributors, Micro Markets, Healthy Machines, Locators, Suppliers Directory. Call 1-800-956-8363 OR EMAIL, POST YOUR JOB- Get Results! Advertising Sales Rep- Work from home! B2B Sales, High Commissions! Contacting vending manufacturers and distributors throughout USA, selling advertising space on Vending Connection website and newsletters. Leads provided, high commissions paid weekly. Experienced in advertising sales needed. One permanent Part-time position open, can work into full-time position. Please email resume with follow up call to Karen Scott, and leave voice mail message. Vending Connection, a vending resource media company, since 1996. 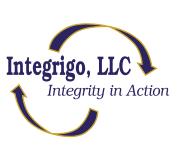 Integrigo is looking for vendor operators to perform cash collection services for McDonalds Charities. We currently have openings in WA, MT, Northern NV, Northern IL, UT, AK, WY. These services are best performed by small vending companies or game and gumball vendors. Service Manager to join our team in Tucson, Arizona. Relocate to a warm/dry climate. 1. Previous experience in vending maintenance or other related fields. 2. Familiarity with vending, office coffee and micro market equipment maintenance. 4. Deadline and detail oriented. 5. Customer Service skills a must. 6. Management and supervisory abilities. 7. Hands on, and must be flexible. POST A JOB LISTING TODAY – Includes: 200 Word Description, Phone, Email with Photos & contact information! QUESTIONS? Call us at 1-800-956-8363, OR POST YOUR AD!